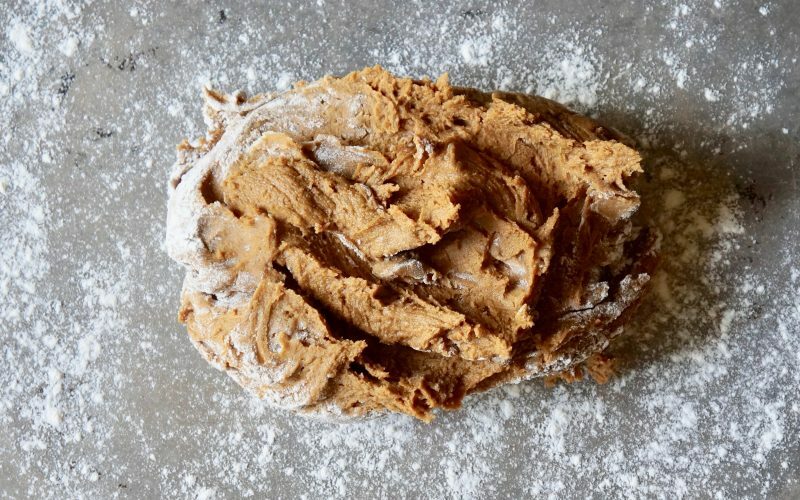 Fresh Ginger-Molasses Cookies are a sophisticated cookie comparable to a crinkle cookie in texture with a mild spice flavor like a Biscoff. 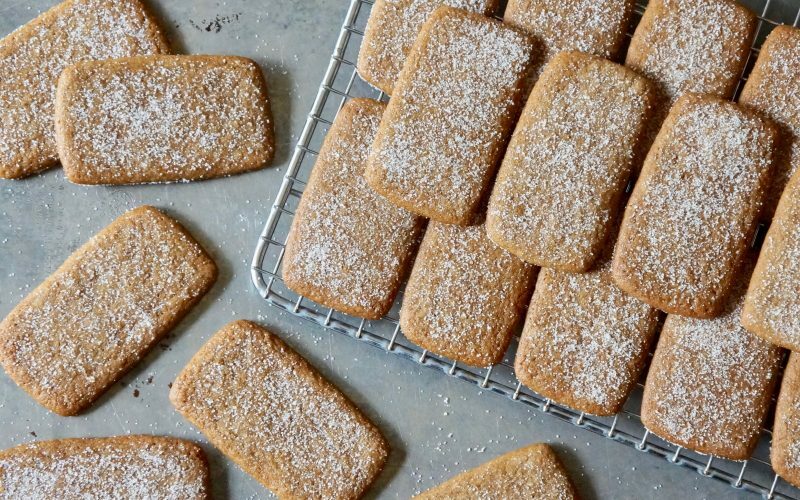 Serve them with coffee, egg nog & milk punch or create a lovely collection of cookies by accompanying them with Gingerbread Snowballs & Chocolate-Gingerbread Thumbprints to give as a gift. This particular dough is extremely sticky. Flour the work surface & pastry pin well while rolling the dough & place it into the freezer for 5 to 10 minutes to re-firm during the cutting process. However do not be tempted to add additional flour to the formula. The cookies bake beautifully with a crisp edges once cool from the oven with soft, chewy centers. Expect them to soften further over time. 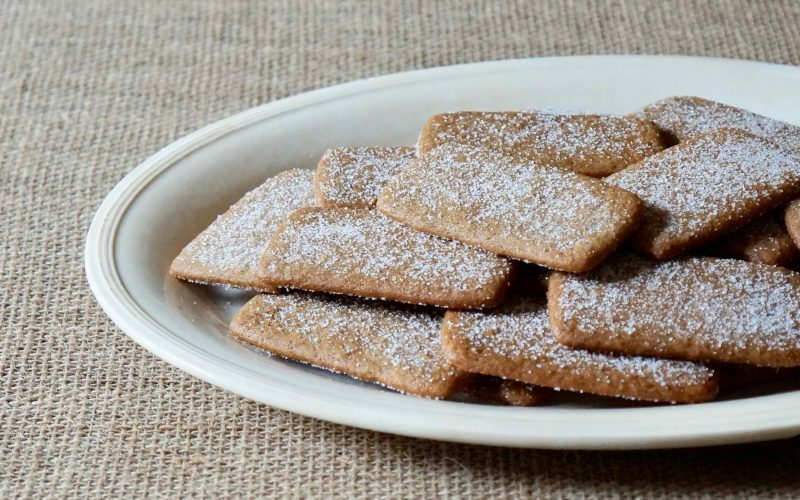 Learn how to make this delightful cookie to serve & share during holiday festivities. Cream the brown sugar & the butter in the bowl of an electric stand mixer on Medium speed until light & airy, about 4 minutes. Add the egg & the ginger. Blend until the yellow disappears. Stop the mixer occasionally & scrape down the bowl sides with a rubber spatula. 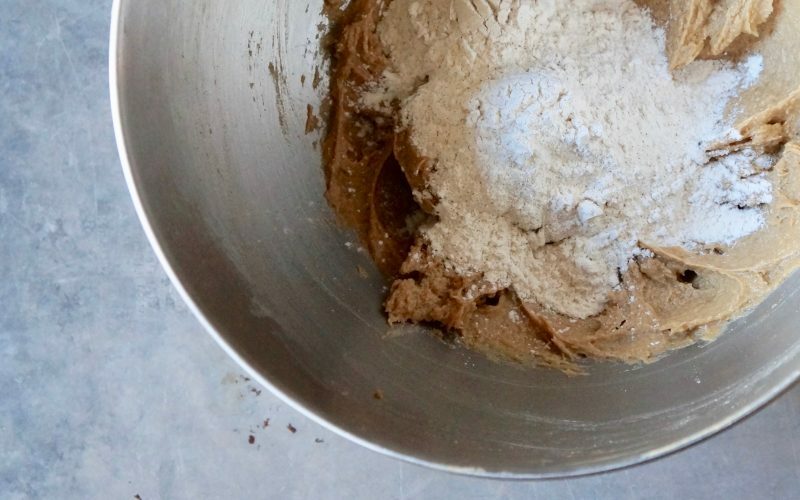 Whisk together the flour, the cinnamon, the soda & the salt in a small bowl. Add to the butter mixture & blend on Low speed 8 seconds. 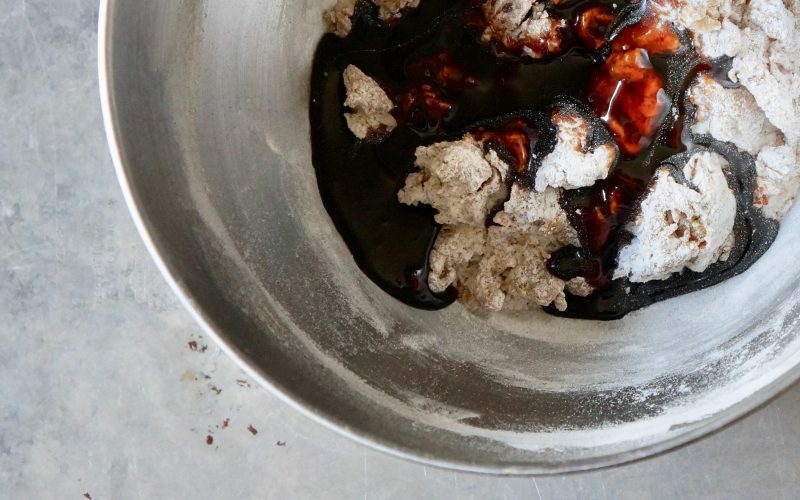 Stop the mixer & add the molasses. Mix on Low speed just until the flour is blended into the dough. 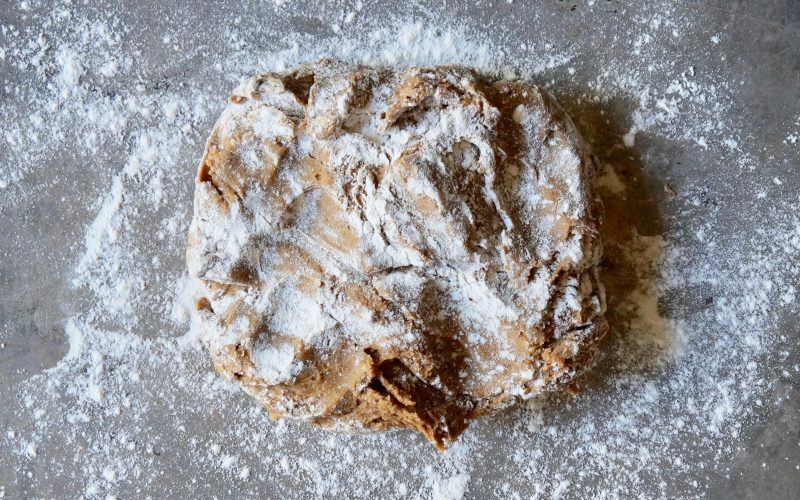 Sprinkle the dough generously with additional flour & turn out onto a heavily floured surface. Shape the dough into a disc; wrap with plastic. Chill 2 hours or up to 2 days. Preheat the oven to 350 degrees. Working with small potions of dough, to an 1/8-inch thickness on a heavily floured surface. 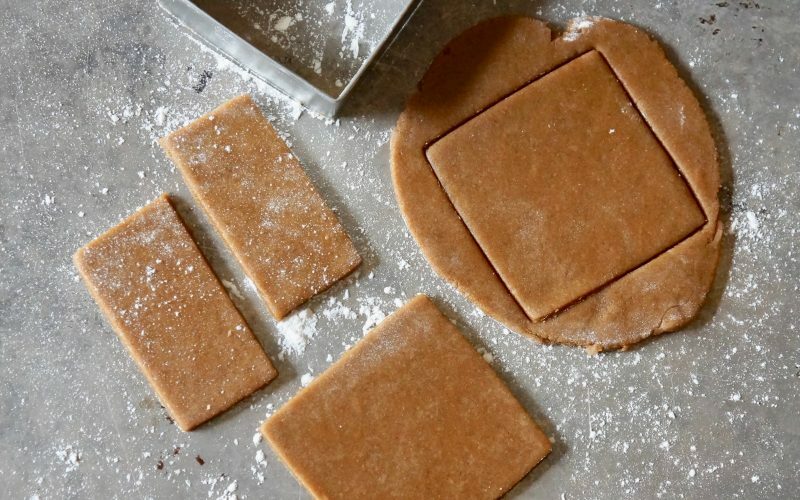 Cut squares from the dough with a 3-inch cookie cutter; slice in half to create 3 x 1 1/2-inch rectangles. 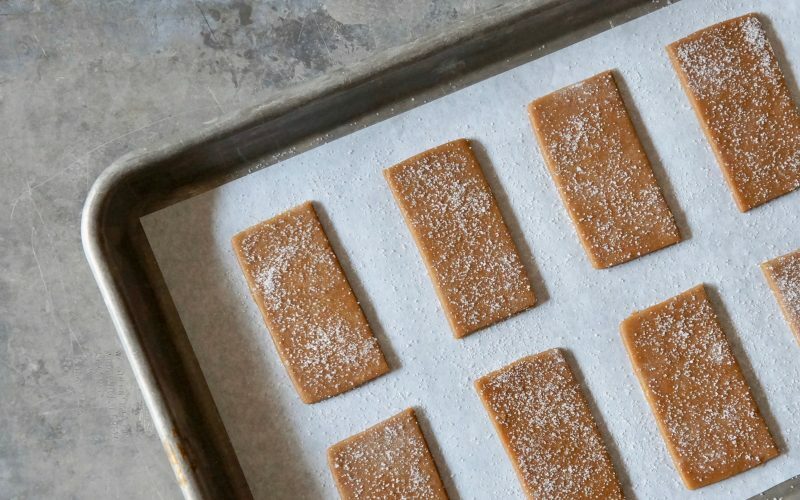 Place 1-inch apart on parchment paper-lined half sheet pans. Re-roll the dough scraps & chill it briefly in the freezer to re-firm, if necessary. Sprinkle the dough tops with granulated sugar. Bake 11 to 13 minutes or until puffed & set. The edges will appear slightly darker in color. Sprinkle the cookies with additional granulated sugar. Cool completely. The first step to handcrafting something stellar is to begin with quality ingredients. The rest comes down to utilizing the proper procedure & not cutting corners. Rolled Cookies refer to a specific cookie style. 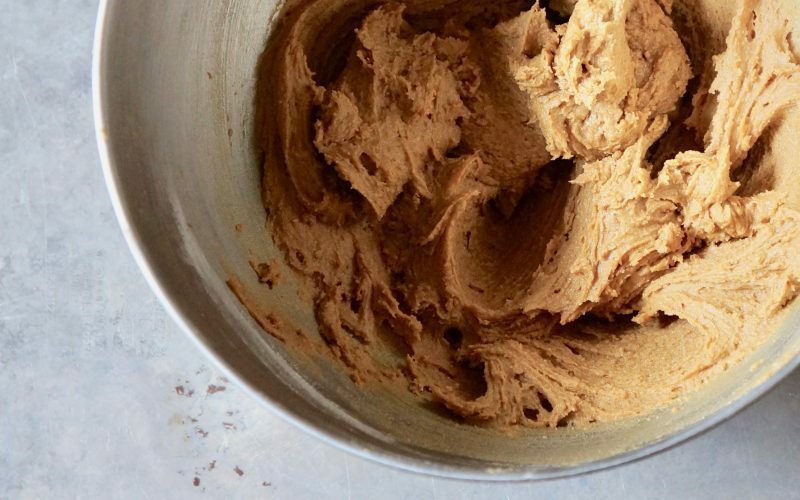 Blend the dough, roll it out & cut the shapes. Leavening affects the final shape of the cookies & expect this particular formula to spread quite a bit during the baking process. Leave plenty of room between the cut portions on the top & around the sides. 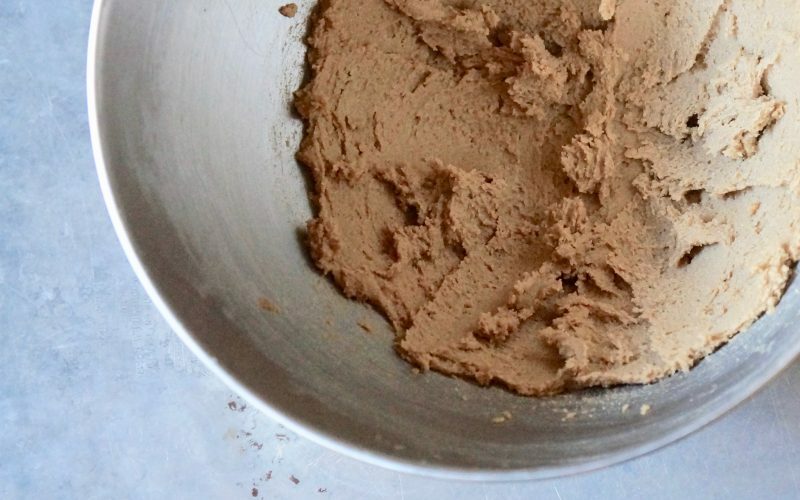 From quality ingredients that are measured properly to blending & portioning them just so, you can create a batch of cookies that replicate those from a fine bakeshop. 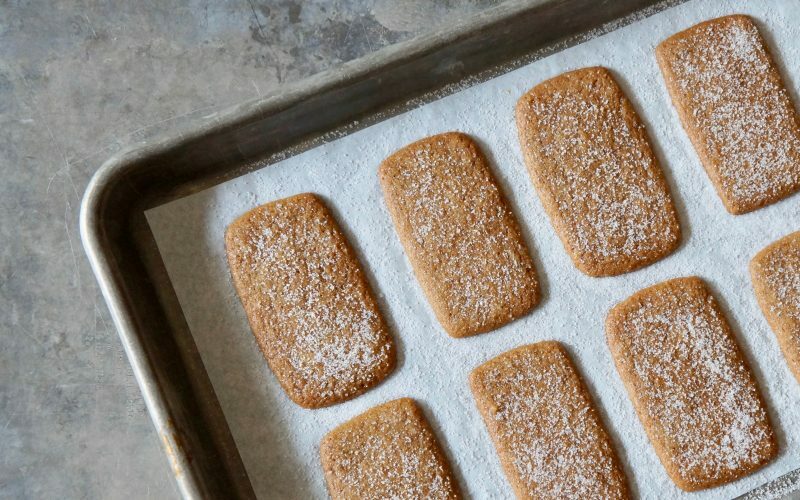 With a few pointers, you’ll be well on your way to baking pan after pan of irresistible cookies & know you’ve created something a little more wholesome. 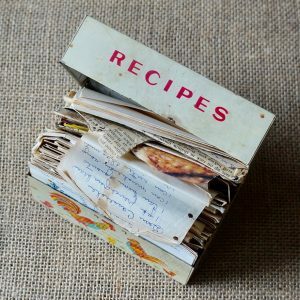 It’s important to first read over a recipe before jumping right in or you may find yourself in a bind. Toasting nuts, blending items ahead of time & measuring ingredients well before needed always makes the process more manageable. Make certain ingredients are the proper temperature before beginning as well. 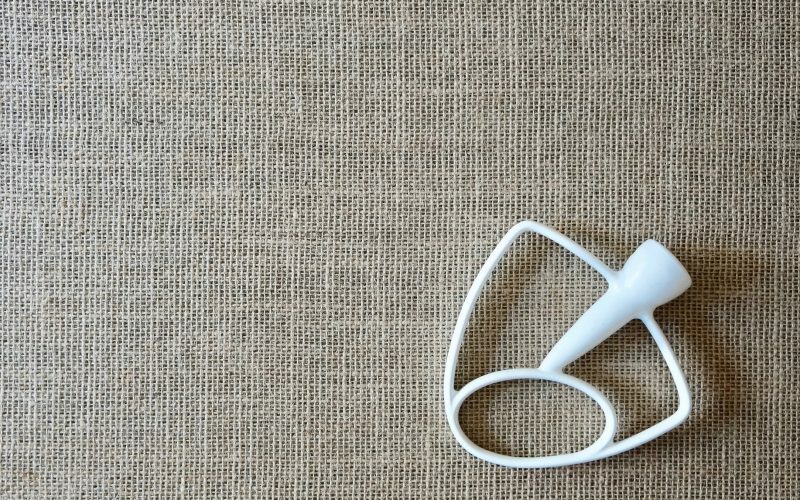 Here’s what you should know. Cream the brown sugar & the butter in the bowl of an electric stand mixer on Medium speed until light & airy, about 4 minutes. Add the egg & the ginger. Blend until the yellow disappears. Stop the mixer occasionally & scrape down the bowl sides with a rubber spatula. 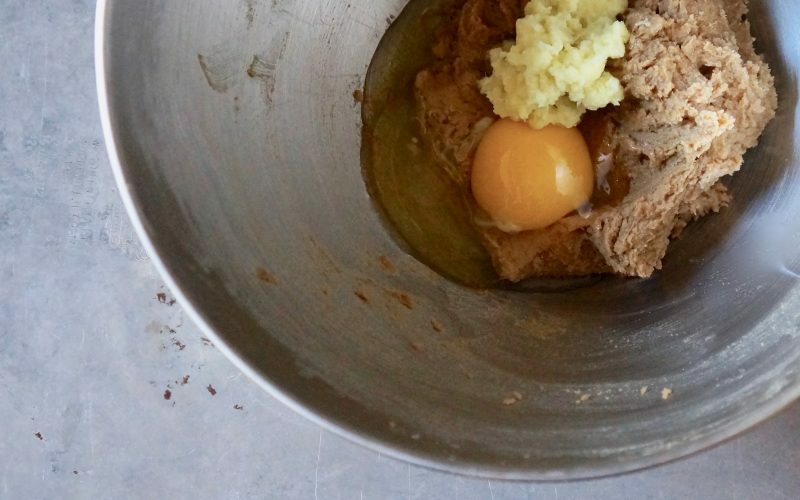 Whisk together the flour, the cinnamon, the soda & the salt in a small bowl. Add to the butter mixture & blend on Low speed 8 seconds. Stop the mixer & add the molasses. Mix on Low speed just until the flour is blended into the dough. 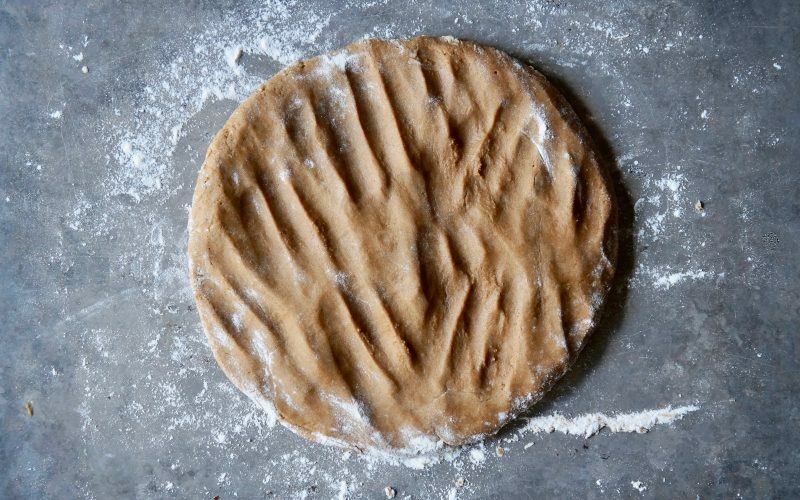 Sprinkle the dough generously with additional flour & turn out onto a heavily floured surface. Sprinkle the dough with flour once again. Shape the dough into a disc; wrap with plastic. Chill 2 hours or up to 2 days. Preheat the oven to 350 degrees. Working with small potions of dough, to an 1/8-inch thickness on a heavily floured surface. 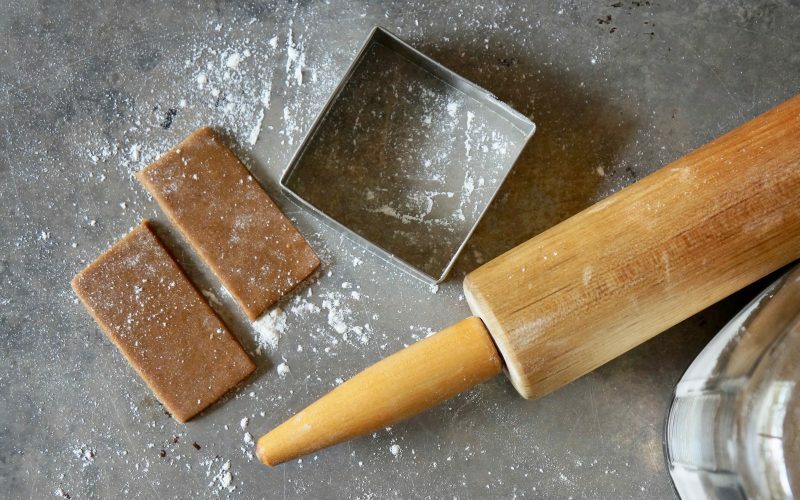 Cut squares from the dough with a 3-inch cookie cutter; slice in half to create 3 x 1 1/2-inch rectangles. Place 1-inch apart on parchment paper-lined half sheet pans. Re-roll the dough scraps & chill it briefly in the freezer to re-firm, if necessary. Sprinkle the dough tops with granulated sugar. Bake 11 to 13 minutes or until puffed & set. The edges will appear slightly darker in color. Sprinkle the cookies with additional granulated sugar. Cool completely. 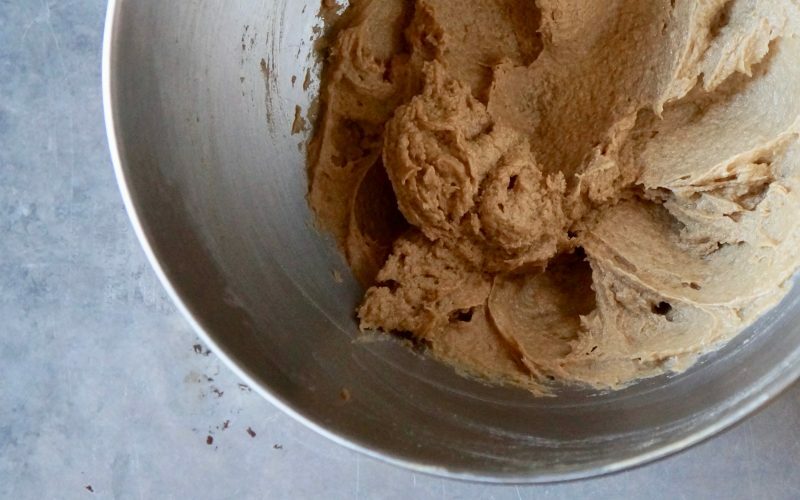 Although homemade cookies taste the very best just after they are baked, this particular recipe may be frozen in zip-top freezer bags up to 3 weeks. Be certain to include them in your cookie recipe collection to use during the Christmas holidays & all throughout the year.